Glass Eyed Animals. Vintage Salesman Buttons. Melbourne 1917. Sold – This is a cute little Japanese lacquer box with lid. 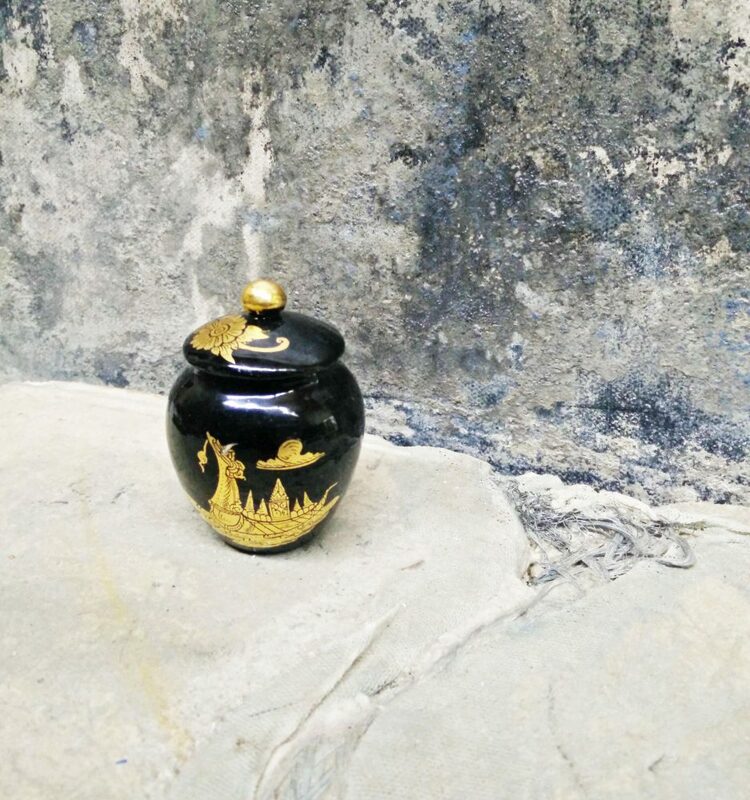 It has black shiny lacquer with deep gold image of a dragon boat with flowers on the lid. 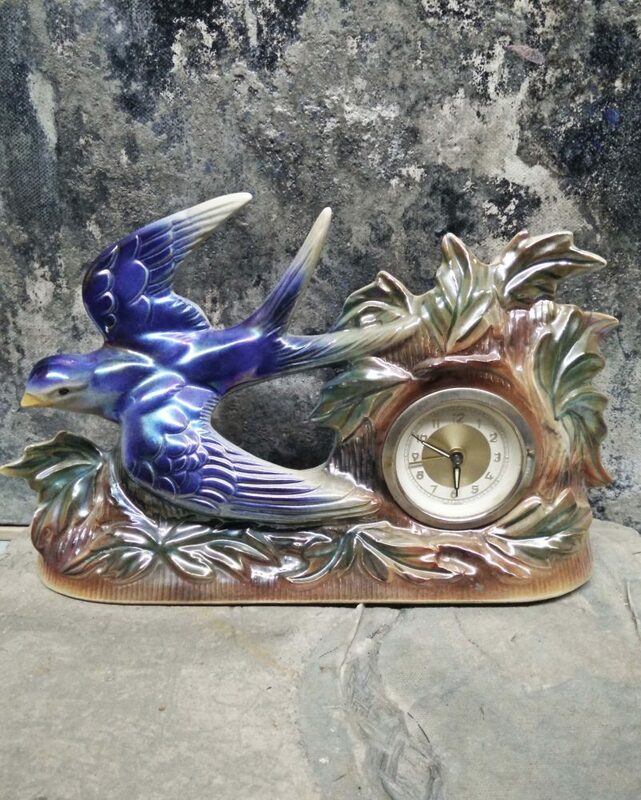 Sold – A gorgeous 1950s Blue Swallow Mantle Clock. Signed Gemma Holland, 409, stamped Holland. The clock isn’t working but, I’m sure it wouldn’t be hard to, replace or fix. Little Mantle Clock. Romantic French Style. 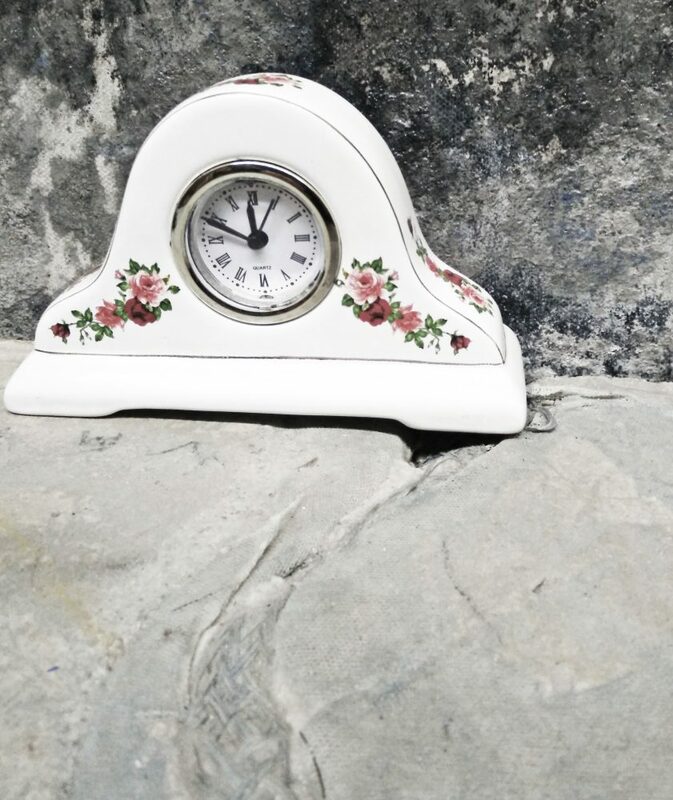 Beautiful floral porcelain mantel clock with red and pink roses. 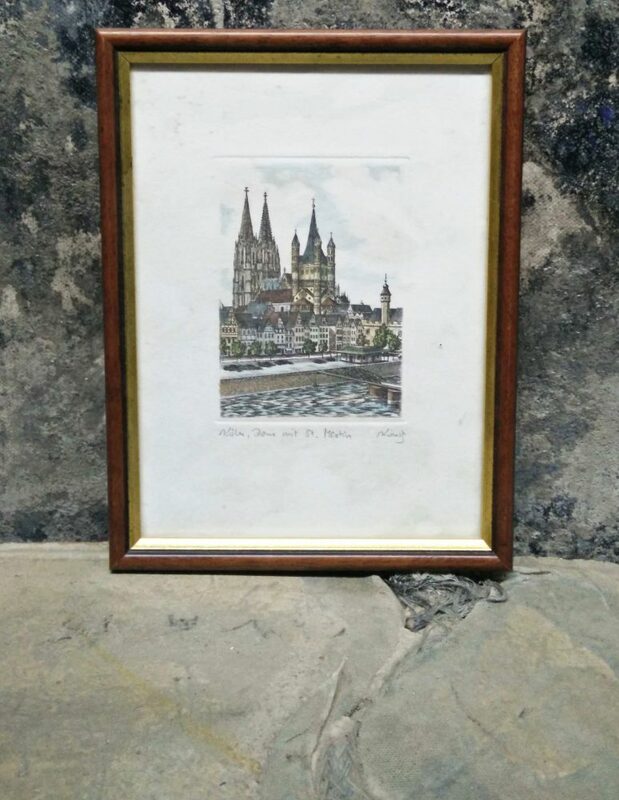 An original vintage colored etching/ engraving of St. Martin Cathedral. 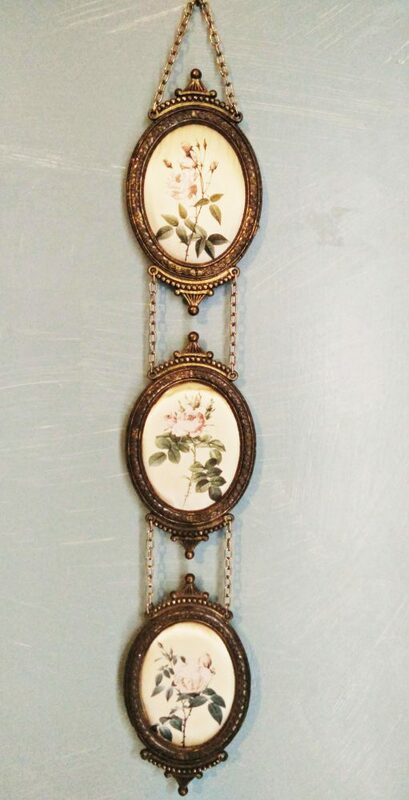 Sold – 3 Exquisite silk cameo oval of vintage pink roses hanging with brass chain. Images are hand painted onto silk surrounded by ornate antique metal brass frames. Sold – 2 vintage perfume bottles from 1960s. 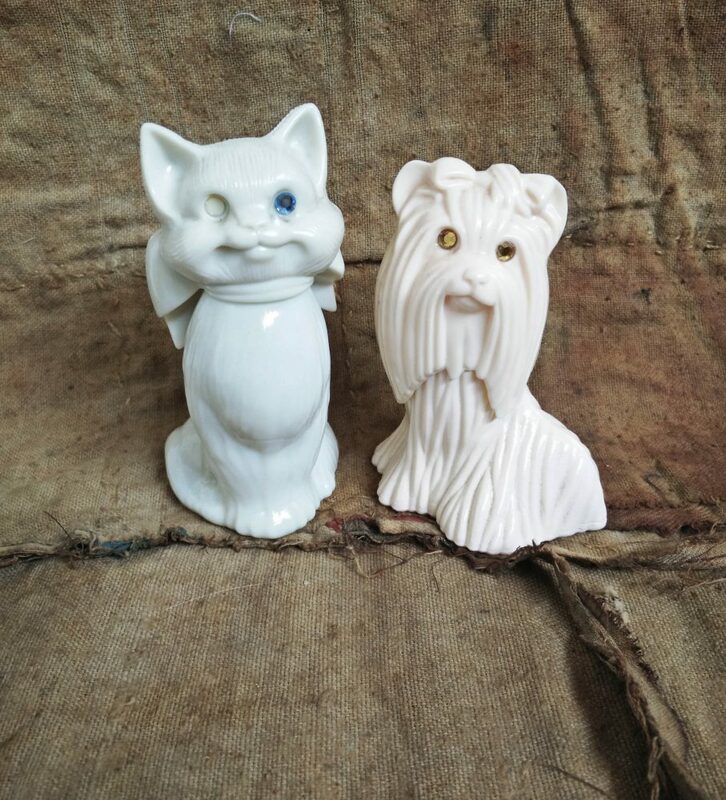 Cute duo of dog and cat perfume bottles. 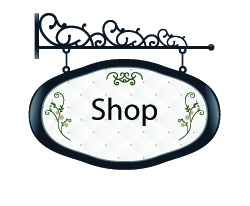 Sold – This is a large Salesman’s button sample card or display for showing shops the variety of buttons. 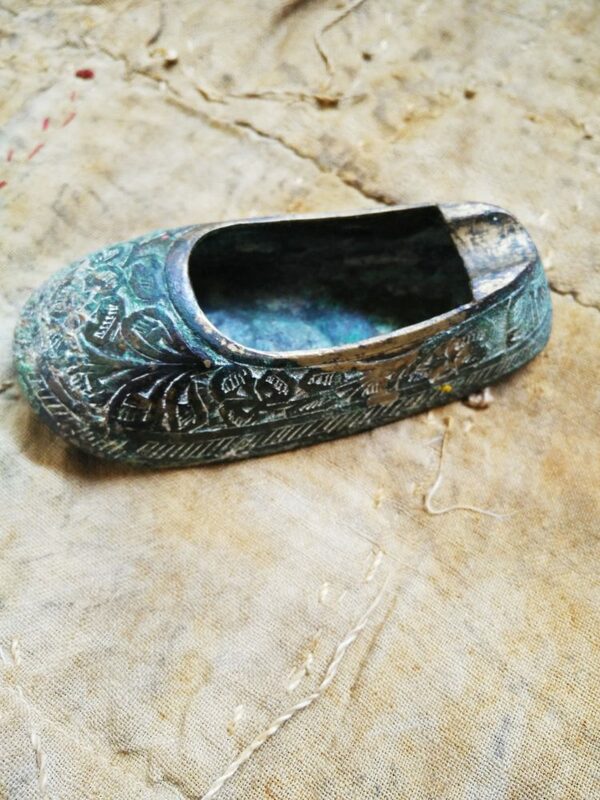 Little vintage brass slipper. Heaps of patina, intricate engraved design. 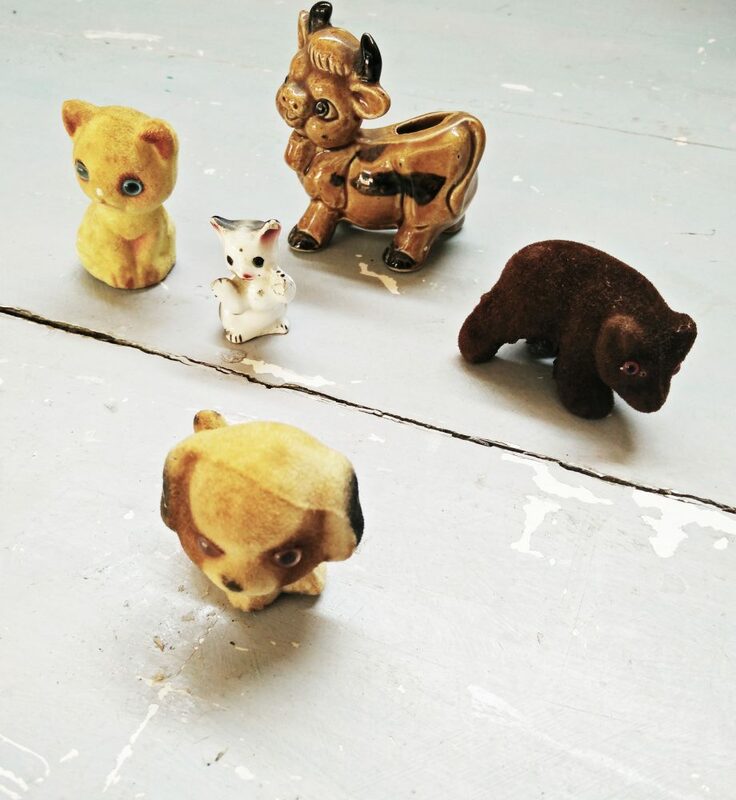 5 mini animal ornaments Spanish looking ceramic bull, little Japanese ceramic cat, 2 plastic plush cuties, puppy and kitty and a Wally wombat covered in brown plushy fabric. Sold – Collectable ruby glass and crystal cup/mug. 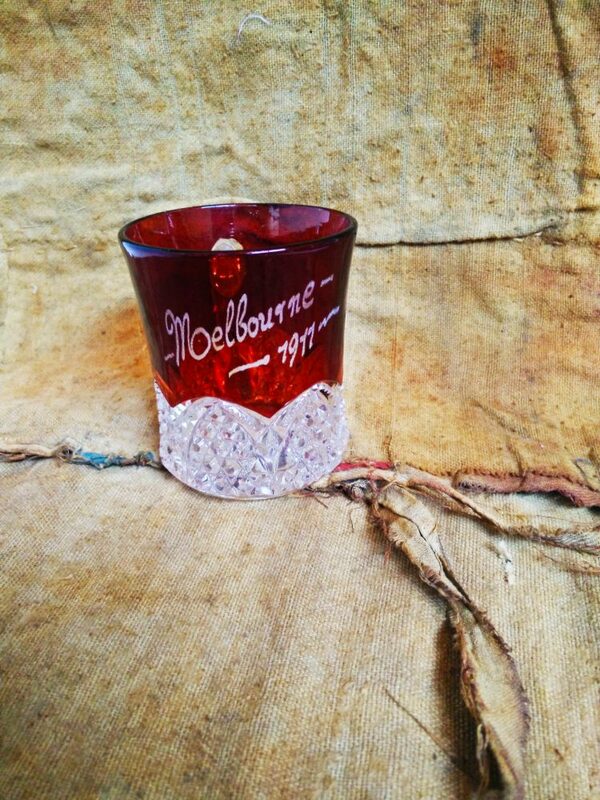 Beautifully etched with Melbourne 1917. A glass mug with a highly decorative clear crystal bottom and handle. All items are available from my Ateliernostalgi Etsy shop, unless sold. 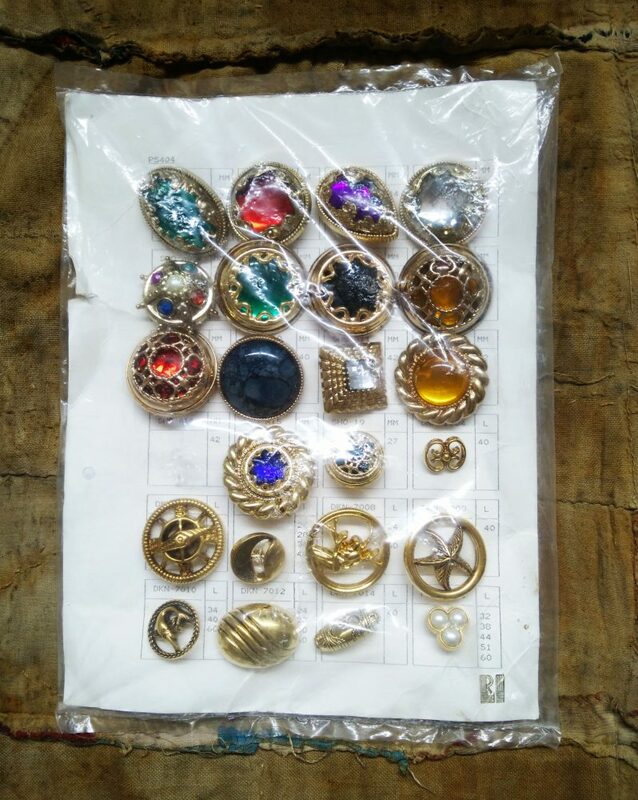 This entry was posted in Vintage, Vintage for sale, vintage shop, vintage shopping, vintage stuff and tagged japanese, melbourne, ruby glass, vintage buttons, vintage clock, vintage collage, vintage finds, vintage perfume bottles, vintage print, vintage stuff on June 22, 2017 by admin.